Last week, I made many half-pints of Lavender Flower Jelly… so delicious on hot cream scones or spread over toast! 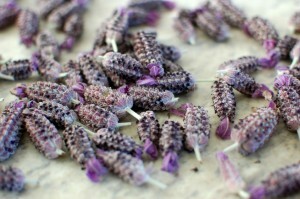 After making all that jelly, I still have a lot of dried lavender flowers sitting around. Most of it will get used in the winter months as hot lavender tea… but with so much of it left… I wanted to find alternate uses for the dried lavender. 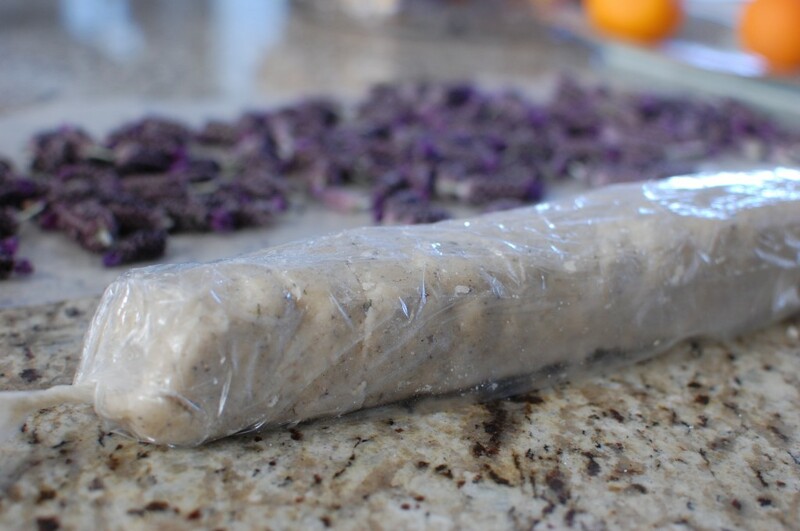 If you have lavender bushes in your yard, harvest the flowers before they start to die, and lay them on the counter (over a sheet of waxed paper) for about a week. You can also buy dried lavender buds at Asian markets – I found a big bag of dried lavender for about $3.00 in a Chinese/Vietnamese market in the herbal tea aisle. 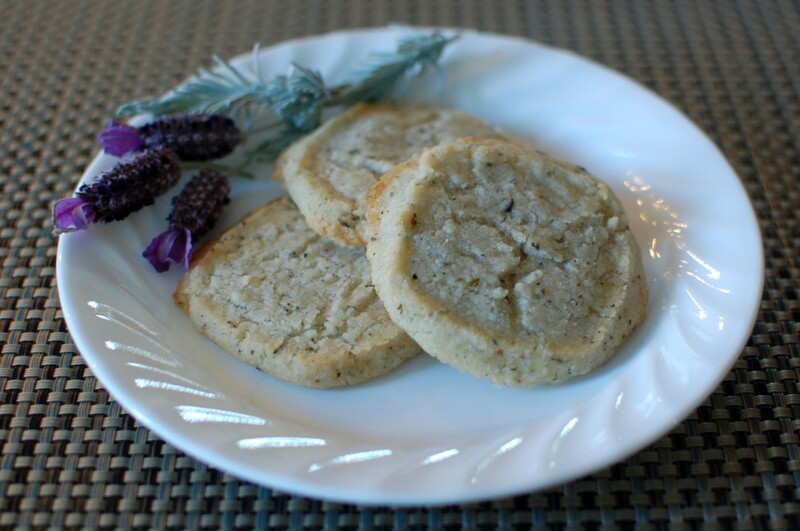 Lavender can be added to cakes, ice cream… all kinds of things… why not shortbread cookies? I usually doctor up shortbread cookies with lemon zest – it adds a wonderful pop of lemon flavor… you can also substitute tea (pulverized Earl Gray, Green Tea… any flavor you like). 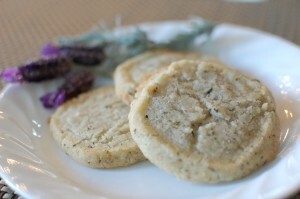 These shortbread cookies, made with lavender instead of lemon zest, turned out so amazing!!! With just a hint of lavender flavor… they are buttery, rich, and uniquely different… a wonderful hostess gift or addition to afternoon tea! 1. 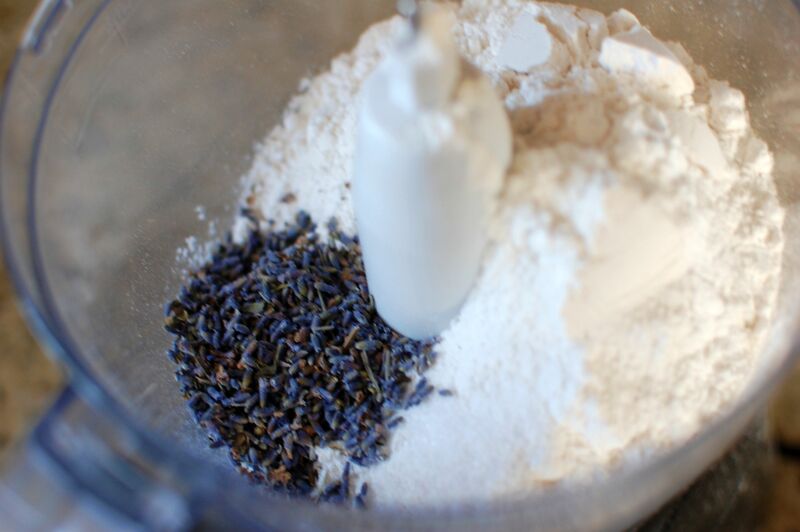 In a food processor, pulse the flour, salt, and lavender buds to combine. 2. Add the vanilla, sugar, and butter. 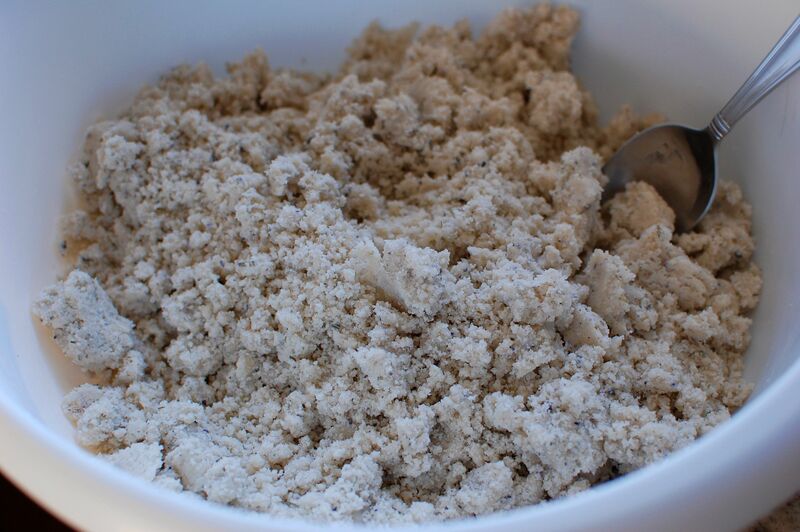 Process until a crumbly uniform texture. 4. Slice the log into 1/3 inch disks. 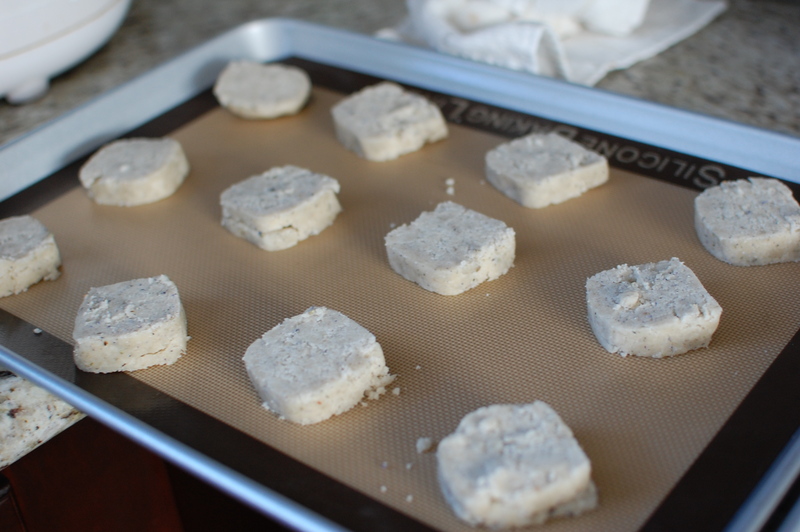 Place the disks onto parchment or silicone lined cookie sheets. 5. Bake at 375 degrees for 10-12 minutes – until the edges turn golden brown. Move to a wire rack to cool. Ohhh, I love lavender!! I made a honey-lavender ice cream not too long ago, and lavender sugar cookies over Christmas. I’m going to have to try this shortbread recipe too! Have you tried making lavender sachets for your drawers or to stick inside your shoes to deodorize? Not that I think you have stinky feet! You could also crystallize it to decorate cakes and cookies, Or creme brulee like the Creme Brulee Cart in San Francisco (I LOVE his lavender creme brulee!). You could also steep it in distilled water or witch hazel to make a toner or for your hair. So, uh, can you tell I love lavender?? Lavender creme brulee… sounds so awesome… I’m going to have to try that some day soon! My brother was given an ice cream maker with a built-in compressor so now we can make ice cream/gelato/sorbet on a whim with no pre-freezing of the bowl. Like salted caramel swirl, Thin Mint chocolate chip, pistachio, strawberry, and of course, lavender. We’re going to need a separate ice cream freezer at the rate we’re going. Go buy stock in Lactaid! Now that’s what I’m talking about! I need one of those units… I just don’t have enough space in the freezer for the bowl insert models. Is it 375 degrees celsius or Fahrenheit?